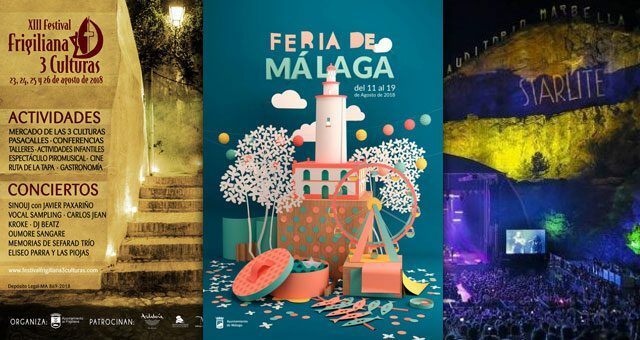 Check out the activities in August, there is plenty of music, the famous fair in Malaga and much more. 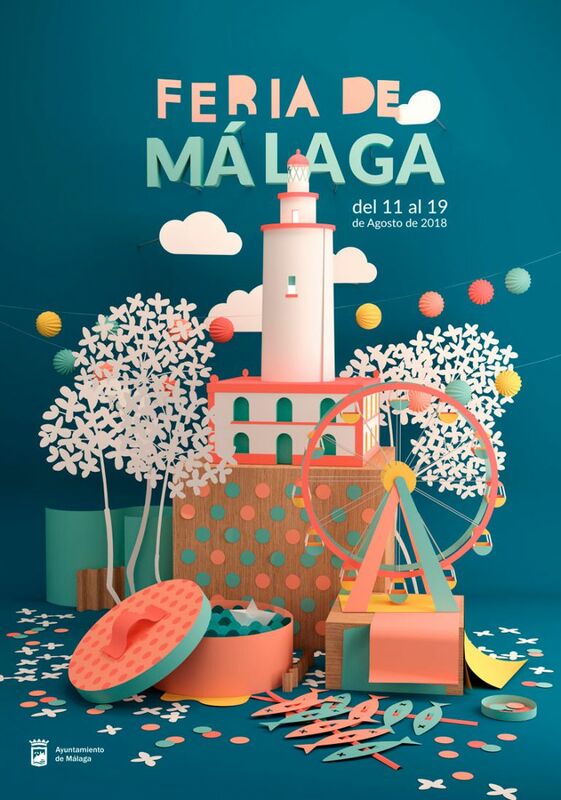 The Malaga Fair is one of the most lively and popular fairs in Spain and attracts each year a large number of local and foreign visitors who enjoy lots of music, dancing and the typical Cartojal wine – well chilled to combat the high temperatures. The fair takes place during the day in the streets of the historic centre and then moves at night to the fairgrounds where people keep celebrating until dawn. This year takes place the seventh edition of this special musical encounter in the Quarry of Nagüeles, a natural amphitheatre surrounded by an impressive landscape. The unique feature of Starlite is the closeness between the public and the artists. Some of the artists this year: Maná, Pet Shop Boys, Jamiroquai, Sting & Shaggy, Luis Miguel, James Blunt, Texas and many more. When: From July 11 to August 25, at 10 pm. 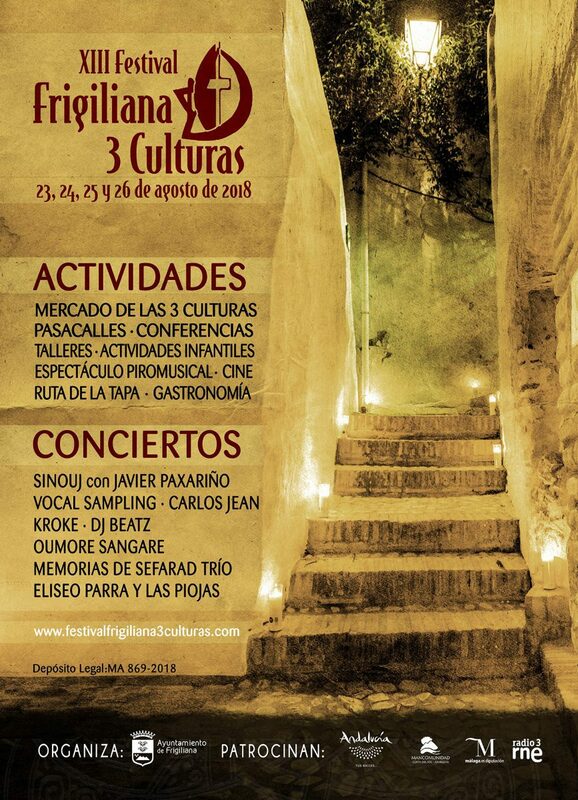 The famous white village Frigiliana hosts for 3 days the Festival of the Three Cultures. During these days, the village is transformed to be an example of coexistence in peace beyond beliefs and religions. This village of the Axarquía is known by the name of “Villa of the three Cultures” by the different civilizations that have passed through its streets: Arab, Jewish and Christian. There will be an extensive program with musical performances, conferences and gastronomic days, which takes place in its streets, as well as activities, parades, music, juggling, fakirs, belly dancing and children’s activities together with a traditional market complete the offer for those days.